Resolute Mining has ameliorated production loss in its Ravenswood operations in Queensland with a record quarterly output in its Syama project in Africa. Ravenswood produced 13,554 ounces of gold, down 22 per cent from the December 2018 quarter as a result of weather impacts and limited ore supply from its Mt Wright underground mine. However, Resolute’s total quarterly production of 98,105 ounces was 24,414 ounces higher than the December 2018 quarter. 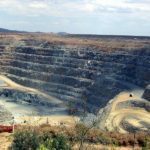 Gold production at the flagship Syama project increased by more than 50 per cent to 84,552 ounces, representing a site record for quarterly output for the West African site. But high grade and above budget recoveries achieved from Resolute’s new mine at Tabokoroni was a key driver for positive quarterly performance, according to the company in an ASX statement. Resolute’s decision to accelerate mining at the Syama satellite operation has resulted in above budget mining rates, which has provided high grade ore to Syama oxide mill and allowed for the creation of a significant oxide ore stockpile. Syama oxide operations produced a record 71,186 ounces for the March 2019 quarter. Strong performance from Resolute’s oxide operations has also supported the company’s decision to prioritise infrastructure, development and the automation implementation program at the Syama underground mine during the quarter. This focus on development has resulted in a more modest increase underground ore production. 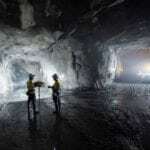 Underground ore mining increased 45 per cent to 244,396 tonnes and Syama sulphide operations produced 13,336 ounces for the March 2019 quarter. 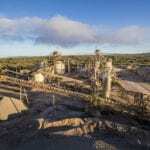 Resolute said it is continuing to ramp up the Syama underground mine for commercial production in the September 2019 quarter. “Syama is becoming a robust, flexible, high production, low cost gold mine we have envisaged,” Resolute chief executive Welborn said. “Syama will be a powerhouse of gold production for Resolute for many years to come.